Sold by BEASTRON and Fulfilled by Amazon. Gift-wrap available. 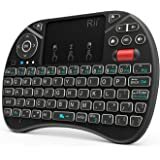 Amazon's Choice for "mini keyboard"
Wireless keyboard + Touchpad + Mouse, small and exquisite for Windows and Mac OS computers, home theater PC users, IPTV, Internet TV, Google TV, Android TV box, PS3 and Xbox 360. 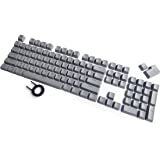 Qwerty keyboard and ordinary keyboard layout. RF 2.4G wireless connection, enjoy up to 10m operating distance. Ultra sensitive touchpad with 90-degree flip design. Built-in rechargeable polymer Lithium-ion battery. USB receiver, no driver needed, plug and play. Auto sleep and wake-up function of the keyboard. Ergonomic design, compact and light weight. Sold by BEASTRON and ships from Amazon Fulfillment. Sold by CanaKit and ships from Amazon Fulfillment. Sold by Panther One and ships from Amazon Fulfillment. 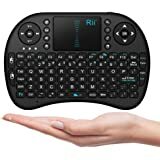 3 in 1 Multifunction: Wireless Keyboard + Touchpad + Mouse. Ultra sensitive touchpad with 90-degree flip design. Built-in rechargeable polymer Lithium-ion battery. 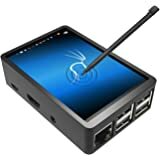 USB Dongle/Receiver - no driver needed. 100% Plug and Play. Auto sleep and wake-up function of the keyboard. Can be used for PC, Notebook, Smart TV, HTPC, Android TV BOX, PS3, XBOX, etc. Ergonomic design, compact and light weight. DONGLE IS IN THE KEYBOARD. Warranty, Labor: International Version does not include manufacturer warranty. See US Version for warranty Amazon.com Return Policy: You may return any new computer purchased from Amazon.com that is "dead on arrival," arrives in damaged condition, or is still in unopened boxes, for a full refund within 30 days of purchase. Amazon.com reserves the right to test "dead on arrival" returns and impose a customer fee equal to 15 percent of the product sales price if the customer misrepresents the condition of the product. Any returned computer that is damaged through customer misuse, is missing parts, or is in unsellable condition due to customer tampering will result in the customer being charged a higher restocking fee based on the condition of the product. 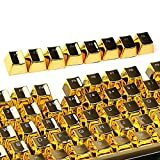 Amazon.com will not accept returns of any desktop or notebook computer more than 30 days after you receive the shipment. New, used, and refurbished products purchased from Marketplace vendors are subject to the returns policy of the individual vendor. 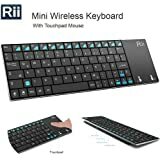 Great mini keyboard. 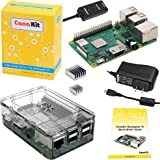 Works with the Raspberry Pi and Windows 7. 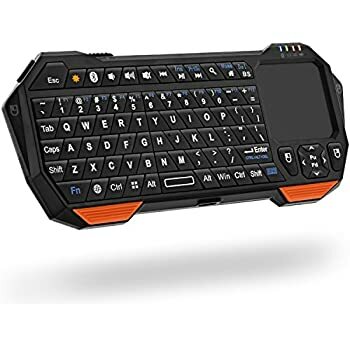 The keys work well, similar to the style from some older smartphones with slide-out keyboards. The touchpad on the side works very well, is extremely responsive, and like laptop touchpads will click when tapped. 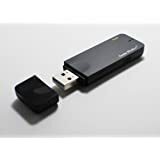 The package included a multi-purpose USB cable that charges the device and acts as an extension cable when plugging the dongle into a PC. 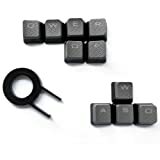 The keyboard may have difficulty communicating with the PC so using the extension cable to put a little distance resolves the problem. A lot of people posted reviews stating the device was smaller than they expected. This is somewhat comparable to a 5" smartphone. 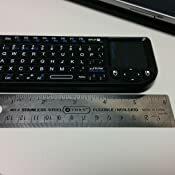 The dimensions are 5 7/8" x 2 5/16". See the attached photo for reference. 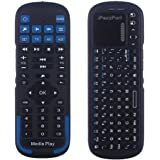 4.0 out of 5 starsWhy such mixed reviews on this remote, you ask? Because there are so many different versions of this remote and you can't even be sure which one you'll get. i first bought the Favi version two years ago and it has been my favorite mini. The working range is adequate and the backlight feature is indispensable. The power switch broke when I dropped it - still works fine but when the battery gets low it gets flaky and needs to be reset by cycling the power. 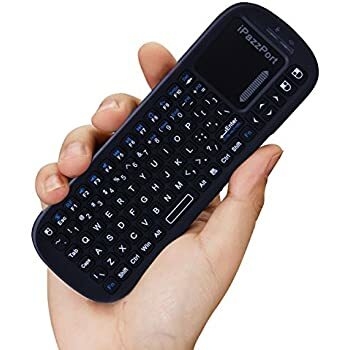 I have been on a quest to replace it and now have three more similar units along with the Logitech diNovo Mini Keyboard, the Unisen iPazzPort KP-810-18R Wireless Keyboard and Touchpad with Learning Infrared (IR) Remote Control 2.4G RF Google TV Compatible. 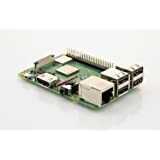 The iPazzPort is very similar to the Rii and Favi but also includes a programmable IR remote. 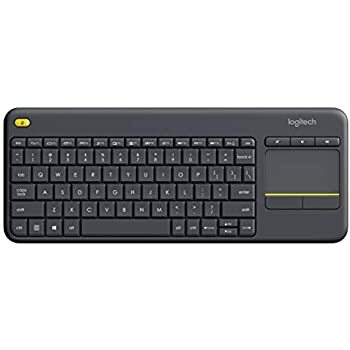 The Logitech is sleek and works well but has its own shortcomings - especially the price. Why do I have 3 more of these? 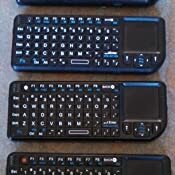 Each one has been listed with a picture of the identical remote but all were slightly different in reality. The differences are immediately apparent by the symbol on the button in the upper left corner. The Favi had the Light bulb as in the one pictured on this Rii listing. The first Rii I received was the exact same unit but unfortunately the backlight didn't work. The great price on these makes it hardly worth paying the shipping to return it. I then bought another Favi with the same picture in the listing, but the one I received had a Bluetooth symbol on the upper left button. The range of this unit was ridiculous, you may as well plug in a wired keyboard. So I bought another Rii at a different website, again with the picture showing the light bulb on the upper left button. 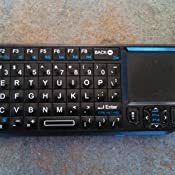 This one showed up with a red laser dot symbol on the upper left button, and continuously loses connection with the receiver and needs to be switched off and on again. I suggest before you buy one of these you contact the seller and see if they can tell you which version you will get. The one with the white light bulb on the upper left button seems to work best. 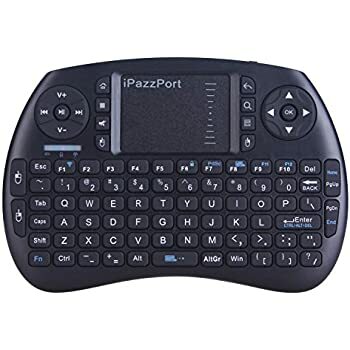 Maybe just buy the iPazzPort KP-810, the layout is nearly identical and the IR function is handy to power on the TV and Receiver. 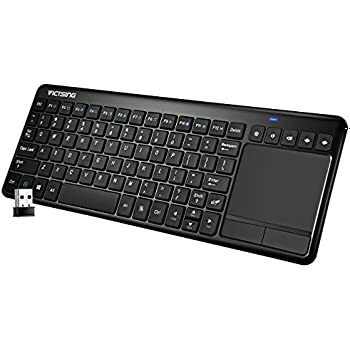 Cons: Layout - the media keys require a simultaneous push of the Fn key, easily fixed by installing Keytweak on the PC. 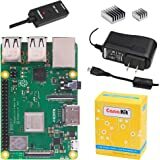 Has anyone used F1 - F12 since DOS? The mouse buttons should be on the left side. Click and drag is very awkward. Can't turn off the tap to click feature of the touch pad. Extremely annoying! No touch pad drivers are available so there are no options in control panel. RF button not explained in the stereotypical Chinese manual (if you are lucky enough to get one). 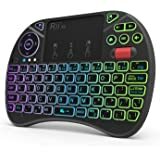 5.0 out of 5 starsGreat Keyboard! 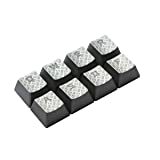 This keyboard is great. I had bought another model but that one was problematic, in that it sent random keystrokes periodically. So I moved it to a less used Android TV box. This one I plugged into my Mac Min that serves as my media server hooked up to the TV via HDMI. It works great and so far no glitches like the other model. This is much better than having a full sized keyboard and mouse on the coffee table. The Mac Min had no problems seeing it once I followed the set up on the screen and so far it works great. I did have to adjust the mouse tracking speed in preferences to my liking. This does exactly what I wanted it to do. It's a little smaller your average TV remote, weighs basically nothing, and has reasonable battery life. Seems pretty tough, surprisingly (held up well after a few drops). Trackpad is fine to use and supports tap-click, like most laptops, as well as the two mouse buttons. Battery charges quickly and is internal so no need to worry about buying AA's constantly. 1)The keyboard sometimes seems to go to sleep with no inputs after 20/30 minutes. 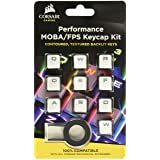 This is (I assume) to save battery, and is something I've seen on other wireless KB/Mice before. Not really a deal breaker, just switch it off/on and keep rolling. Would be nice to have an option to disable. 2)It needs either a second, right side shift key, or a one-character sticky shift function like most phones have. Seriously, though, don't let these little things deter you. 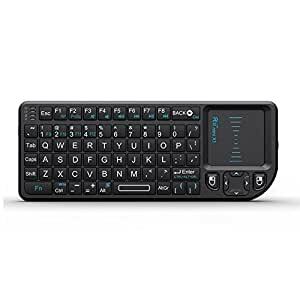 If you're looking for a pocket keyboard that's not Bluetooth, this is the choice. It's a bonus that it's dirt cheap, too, because this little guy blows several more expensive units out of the water. If you actually need something to do this job (like I did), get it. 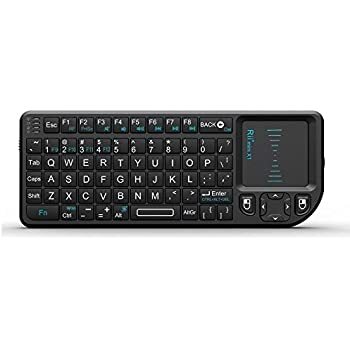 If you just want something for a home media set up, to be a fun little toy, or to play a prank on a coworker (also like I did), then the low price makes this a no brainier. Stop reading. Add to cart.